The first wave of cloud service providers, which began around 2006, is over. Ten years later we’ve launched the second wave, and accounting firms are surfing their way to new business models as they capitalize on the increased efficiencies offered by cloud service providers. But CPAs aren’t the only ones capitalizing on both the public and private cloud phenomenon. According to Forrester, the revenue generated from the public cloud will grow to $236 billion annually by 2020. As the second wave hits, the maturity level of cloud-based services is evolving. How will these changes affect CPA firms in 2017? It’s always tough to make predictions about the slippery and ever-changing field of technology. Fortunately, we have researchers and cloud providers who have their binoculars trained on the tech horizon. Here are some of the changes they’re predicting, coupled with our best guesses for CPA cloud adoption this year. Second, machine learning and AI will meld with big data to change the services traditional CPAs provide. Even the smallest firms can now use cloud-centric enterprise resource planning tools to do more with client data, allowing them to move beyond traditional accounting functions. In 2017, CPA firms have the opportunity to become more valuable to clients as machine learning takes over basic GL functions so accountants can become trusted advisors, not number crunchers. 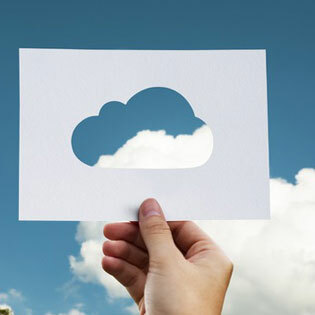 With the latest offerings from cloud service providers, outsourced CPA firms could have tighter integration with their clients by unlocking the secrets to client data. Finding actionable insight in metadata is a value-add that could increase the value of traditional accounting firms. Third, security threats will increase while cloud security will rise to meet the challenge. Gigamon suggests that security threats will come so quickly over the next few years, that humans will simply no longer be able to keep up. They predict “security workflow automation” will help take the place of human intervention to secure the cloud. Automating tedious and basic security functions will free up network administrators of cloud service providers to implement new predictive security measures across the public, private, or hybrid cloud models. The positive impact of managed service providers will continue to expand, as outsourced IT professionals will help accounting and other businesses keep their data secure.